The Medley Ergo range offers the perfect balance between budget, functionality and quality requirements. 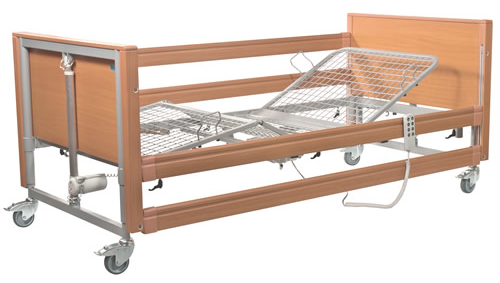 The four sectioned profiling mattress support offers a range of height combinations, providing an ideal position for the carer and comfort for the client. The newly optimised mattress platform sections reduce shear and friction when the bed is being adjusted and prevents the client from sliding downwards.